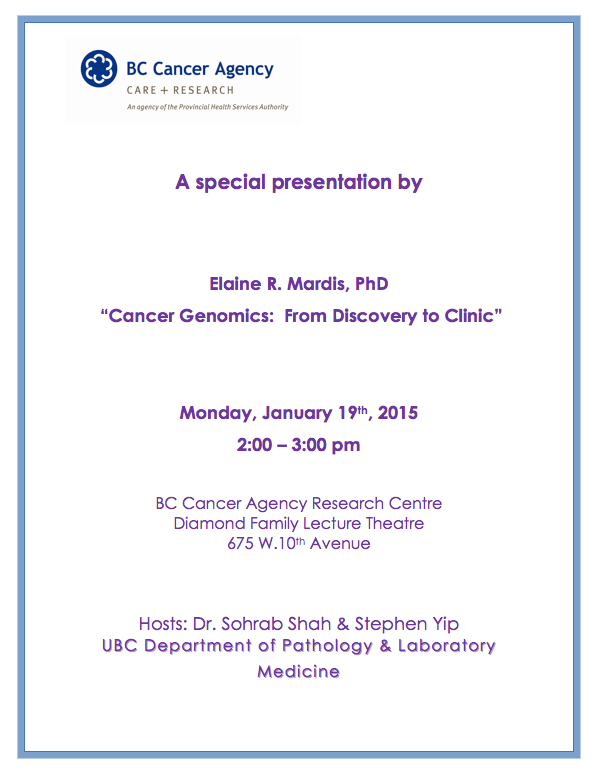 Dr. Mardis joined The Genome Institute at Washington University, St. Louis, MO, in 1993. As Director of Technology Development, she helped create methods and automation pipelines for sequencing the human genome. Dr. Mardis has research interests in the application of next-generation sequencing to characterize cancer genomes and transcriptomes, and using these data to support therapeutic decision-making. She also is interested in facilitating the translation of basic science discoveries about human disease into the clinical setting. Dr. Mardis serves as an editorial board member of Molecular Cancer Research, Disease Models and Mechanisms and Annals of Oncology, and acts as a reviewer for Nature, the New England Journal of Medicine, Cell, and Genome Research. She serves on the scientific advisory boards of Qiagen Ingenuity, DNA Nexus, and ZS Genetics. 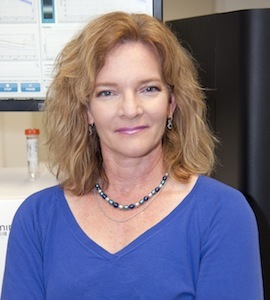 Dr. Mardis received the Scripps Translational Research award for her work on cancer genomics in 2010, and was named a Distinguished Alumni of the University of Oklahoma College of Arts and Sciences for 2011. Discover Magazine featured her work in cancer genomics as one of their top 100 science stories in 2013. Dr. Mardis is also Professor in the Department of Genetics, with an adjunct appointment in the Department of Molecular Microbiology. Prior to joining the Washington University faculty, she was a senior research scientist at Bio-Rad Laboratories in Hercules, CA. Dr. Mardis received her B.S. degree (Zoology with Highest Honors, 1984) and her Ph.D. (Chemistry and Biochemistry, 1989) from the University of Oklahoma.